Successful photo journalist and commercial photographer with 30 years experience. Newsweek, US News and World Report, Sunday Times, Sipa Press and many multi national corporations. Teaches and lectures. I am a professional, successful photographer and have been for over 30 years and have been published all over the world. Newsweek and Sunday Times were my first clients. I then became a staff photographer for US News and World Report covering world events and began travelling with two US presidents. Following this, I worked on worldwide and travel features such as orphanages around the world, export of wild butterflies, little known tribes in Africa and Asia, US Army and Navy training, monastic life in Burma, and travel pieces for Figaro and Madame Figaro, France’s most popular magazine as well as many other international publications, syndicated by SIPA PRESS. I have also photographed many famous people and portraits, over 20 head of States, and TV and cinema celebrities often in their homes as I contributed regularly to Hello Magazine in the UK and Gala in France amongst others. Food photography is also something I very much enjoy — how can you live in France and not become a food and wine fanatic?! I have worked regularly for Cuisine et Vins de France, Alain Ducasse and Sodexho. As photojournalism has sadly diminished, I currently work mostly for international corporations and ad agencies both in Europe and worldwide. 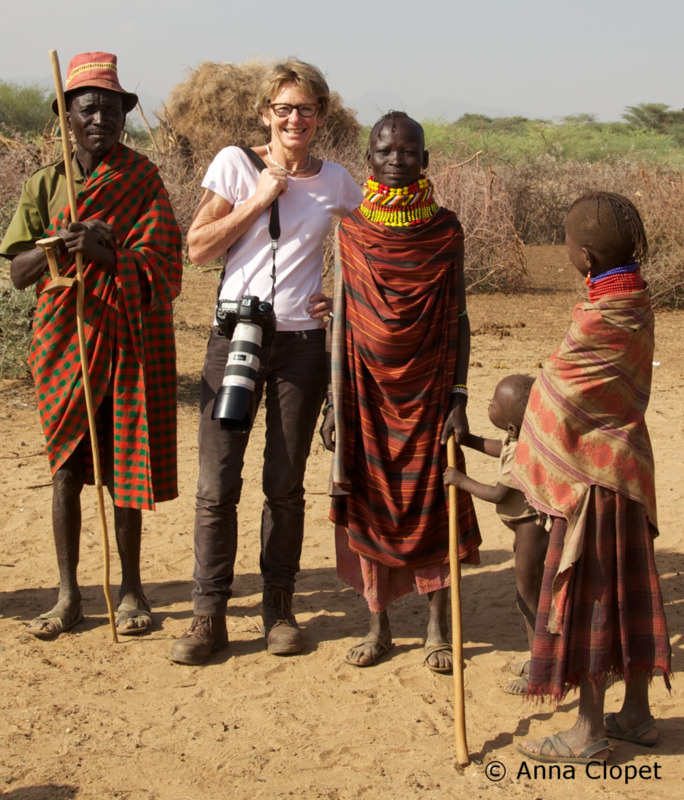 Having over 30 years experience of travelling and photographing under sometimes very difficult circumstances has taught me a great deal of patience and understanding of others. You will be in good hands, I promise! I have published 2 books, Mentawai, L’Ile des hommes fleurs and Islands of Steel and initiated and worked on a documentary ‘La Double Vie de Bradford’ for France 5. Blowing my own trumpet is not something I like to do, but before choosing with whom you do a photography workshop or tour you have a right to know who is teaching you and why you would choose to learn and improve your photography with me. Anna is British, born in Morocco and educated in the UK and Italy. She was a news photographer between 1983 and 1993 covering world events from Cairo, Rome, then Paris. She worked freelance for Newsweek, then on the staff of US News and World Report. Since then she has contributed to most major magazines world wide and works regularly as a Corporate and Industrial photographer for American, British and French international companies. She travels extensively.